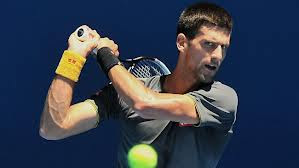 The world number one 's bid to make history of becoming the first man of winning three consecutive Australian open titles started impressively as he swept aside the challenge of Paul-Henri Mathieu with a 6-2 6-4 7-5 win. Semantha Stosur who only managed to reach the fourth round of her home grand slam twice in 10 appearances, struggled to assert herself in the first set before securing victory over Kai-Chen Chang 7-6 (7-3) 6-3 while French Open Champion Maria Sharapova, in her first competitive match of 2013, showed no signs of rustiness by brushing aside her Russian countrywoman, Olga Puchkova with a 6-0 6-0 win in 55 minutes. 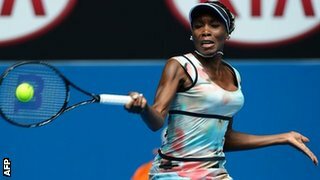 In other opening ties, Venus Williams took the first step towards a potential third-round clash with Maria Sharapova by thrashing Galina Voskoboeva 6-1 6-0 while British number one Heather Watson staged a remarkable comeback to beat Romania's Alexandra Cadantu with a 2-6 6-3 6-2 win.